As BIM becomes the standard for the architecture, engineering, and construction (AEC) industries, effective and efficient 3D laser scanning and utilization of that data become a necessity.Every aspect of design, construction, maintenance, and renovation, are now being managed by 3D data. It is important to understand the numerous issues, obstacles and complexities of applying BIM to existing buildings and structures. How will the BIM data be modeled? What are the costs and tools needed to collect existing measurements and 3D data? With the rise of building renovations and infrastructure renewals, and the decrease in experienced labor, there is a need for an optimal, cost-efficient solution for this new area of AEC. Elysium’s newest version of InfiPoints meets this demand by increasing the efficiency of BIM modeling with the addition of steel structure modeling, and enhancements to the current piping capabilities. Elysium has developed technologies which allow not only geometric information to be exported, but parameters such as length and diameter to be exported as well, easing your modeling work flow of existing buildings in your BIM software. The modeled data can be exported as IFC, one of the most commonly used neutral formats, or to various exclusive CAD formats. “Elysium has been delivering 3D CAD interoperability solutions to the advanced manufacturing industry for more than 30 years. We are really proud to develop our new technology to bridge InfiPoints with BIM not only with point cloud based modeled geometry, but also with its parameters utilizing our expertise and know-how,” stated Atsuto Soma, CTO of Elysium Co. Ltd. In InfiPoints, you can easily create CAD models of structural elements using planes auto-extracted from 3D scanned point cloud data. Standard specifications of steel structural elements (listed below) are pre-registered to InfiPoints, so that all you have to do is select a type, and adjust the size either by numerical values, or an easy mouse operation in the view window. 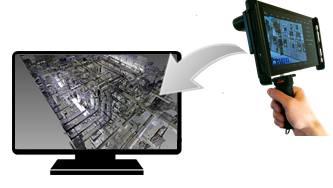 This enhancement impacts the digitalization of existing facilities by creating rough CAD models of equipment, as well as surroundings including the piping systems, structures, walls and the floor, in InfiPoints, and then easily creates CAD models in BIM solutions based on them. 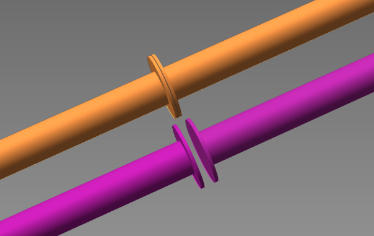 Pipe modeling functionality has been enhanced for detailed digitalization of pipe systems—connect pipes with reducers, set the clearance between flange pairs, and more. This allows you to export detailed CAD models to BIM solutions. 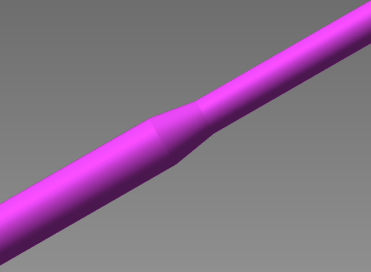 You can export CAD models in editable formats including parametric information such as length and diameters. This includes IFC, a neutral format for BIM solutions, or other formats for equipment CAD systems. This addition contributes to a significant lead time reduction on the modeling process in BIM solutions because CAD models do not have to be created from scratch. CAD models can be created by modifying the CAD models created in InfiPoints. This allows work planning based on a common recognition of registration accuracy among related persons, provide the client with an evaluation results report to prove that the registration accuracy is within a set tolerance, and more. 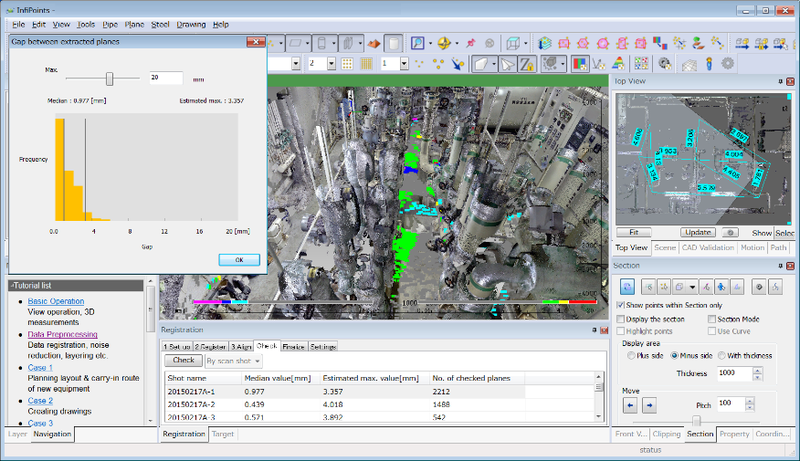 InfiPoints now supports the data import of point cloud data obtained from 3D scanning with DPI-8, a handheld laser scanner developed by DotProduct. DPI-8 is ideal for capturing areas invisible from stationary laser scanners, e.g., backside of equipment and tight spaces, and is often used in combination with stationary laser scanners. In InfiPoints, you can seamlessly integrate scanned data collected by both devices. Elysium develops geometry handling and interoperability solutions for digital design and PLM markets. It has worked closely with CAD vendors under the official partnerships and also world-leading companies including Toyota Motor Corporation, Renault Sport F1 Team, Northrop Grumman Corporation. With millions of files translated and thousands of customers worldwide, its technology has been proved one and only. 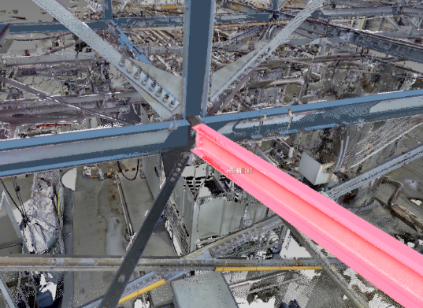 With this powerful background accumulated in its 30-year history, Elysium has stepped into a new industry to accelerate the utilization of 3D scanned point cloud data. Choose InfiPoints to experience the new generation; handling massive point cloud data with high performance, modeling from point clouds and more. Visit http://www.elysium-global.com/ for more information. This entry was posted in CAD-CAM-CAE, Featured News on October 18, 2016 by Sharmila Guha.